Good morning Folks ~ Saturday was gray, windy, rainy and the temps went from warm and humid with the a.c. on, to growing chillier as the day wore on. Sunday morning 7:27 a.m. was the coldest at 44 degrees and real feel was 33 degrees. This morning it got down to 43 but real feel only got as low as 39 degrees and that is because we were not having the wind like yesterday morning. That makes all the difference. I’m sitting here in capri pants, a t-shirt and bare feet. Have not put the heater on. It’s around 68 inside and probably about the same outside. I worked outside in the secret garden for around 30-45 min. and it felt good. Came in for lunch, and now I feel like catching some zzzzz’s snuggled under the blankets. The other day I was visiting a blog and I don’t remember which one, but I saw a yarn give-away and decided to check it out. They have two give-aways, one for individuals, and one for groups who knit or crochet items for charity. I signed up as an individual as I have been crocheting either prayer shawls or comfort lapghans for other widows or ladies who need some love and encouragement. I don’t even know how many I’ve made in the 5 years since my dear husband left this planet. It is something I enjoy and my prayer is that each recipient will feel God’s love surrounding them in their time of need. If there are any of you out there who would like to enter the drawing, here is the link: Yarn Canada. The drawing ends Dec. 15th. I was blessed with peace and joy Saturday and I know it is because of the love of God and all of the prayers and well-wishes from all of you. Thank you. Saturday afternoon I was sitting here in my space, and something caught my eye through the open blinds, I looked and lo and behold it was a humming bird. Such a treat to see. I should think about investing in a feeder for these flying jewels so that I can get some photos of them. They flit so fast it is unbelievable. I was thankful for the gift of seeing this one even for a second. 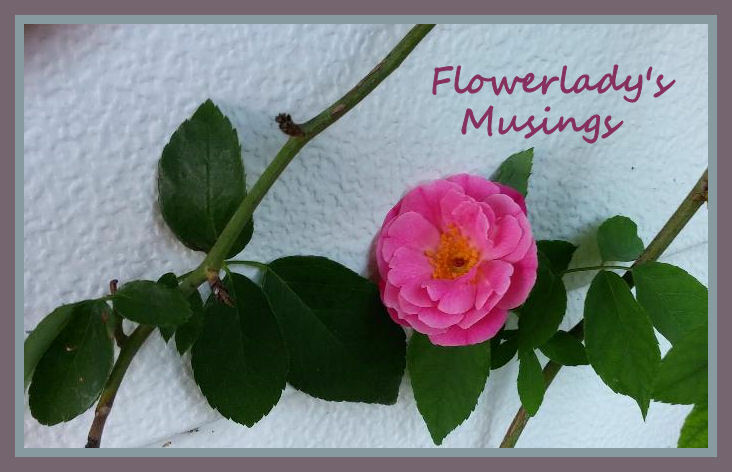 Here are some more blooms from my gardens for you to enjoy. These white blooms are from the Montanoa atriplicifolia (Yucatan Daisy) or common name is ‘Daisy Tree’. In the background below, are the purple blossoms of, Philippine Violets, the white flowers in foreground partially covering a metal floral chandelier is some kind of ‘weed’. Hard to get rid of, hard to pull out, have to be dug up. I need to find a place to hang the chandelier. We found it curbside many years ago. Thunbergia erecta, ‘King’s Mantle’ shrub. Below is the first bloom from a vine I bought this past spring. They didn’t know the name of it. I love it. Maybe someone out there with tropical bloomers can identify this for me. Last but not least for this post, is ‘Miss Attwood’. What a wonderful thing to do-knit those prayer shawls. Someone sent my hubby one when he was undergoing chemo and radiation and he still uses it across his shoulders all the time. In the beginning he put it over the top of his head and it draped down over his shoulders. Those temps are cold for Florida. We are in the midst of winter now for sure. 2" of snow this morning and I suspect more coming soon. It was warm enough today to work at putting the garden to bed, cleaning up the grounds and planting tulips. It was great, but temporary. Reading your post beneath about your husband being with our Lord is a reassurance and a promise for all of we Christians. It must give you great comfort, and a sense of closeness, knowing that your dear husband is safe in the arms of Jesus. Merry Christmas! I'm sure that the prayer shawls that you make bring much comfort to the people who receive them. It is very kind of you to make them. Your blooming flowers are gorgeous. I miss my flowers. Here near St Louis nothing is blooming anymore, the leaves have fallen and are blowing everywhere. We have been having such strong winds here, that I haven't even put my wreath on the door yet. I think it will be blown off. I've decided to try and hang it on in the usual way and wrap some thin nylon sewing thread around the storm door and wreath to try and keep it from blowing away. Today a very heavy little table I use for plants on the front porch blew off of the porch. The hummingbirds must have come down to your house to get away from winter up here, but today many many flocks of robins were gathering here on our street. My persimmon tree was completely covered in them as they pecked and gulped down all of the persimmons that were left on the tree. I don't know if they migrate south or not, but wherever they were going they were all travelling with a belly full of persimmons. I was surprised at how cold it was at your house. Stay cozy. The flower on the 'nameless' vine had beautiful and distinct markings. Lorraine how sweet of you to make the prayer shawls for those in need. You are such an angel. I bet they are beautiful. Love seeing all your pretty flowers. We here in the midwest are getting snow and really cold. Winter is here for sure. That is cold for you down there. knitting, beautiful blooms, and a bird to be with you at that time, all special. Hugs from a hot place in NZ. WOW---40's are COLD for South Florida... Here, the 40's are generally our HIGH temps during the winter... However, today's high is only in the 30's and our low tonight is 19..... NOW that IS cold!!!! Some of our 'weeds' are healthier than our plants.... You are correct.. You can't pull them out. You have to dig and cut them out... Not always fun to do!!!! Love Miss Atwood... She's just gorgeous. Thank you for sending us flowers! A sight for winter eyes farther north. I think I love your climate. We have snow, it was very nice in the beginning, a white world like in a fairytale, but all of a sudden it's raining again and real cold. Snow has changed in a dirty, slippery mass with lots of traffic jams on the roads. I'm really fond of that beautiful 'unnamed' pink flower with yellow throat, just a beauty. Wow, that really is quite cold for where you live but sounds as heavenly as your flowers look. Wow....it's almost as if you are having winter down there. :-) That makes for perfect napping weather for sure! I love the idea of a prayer shawl, lovely, lovely idea. We enjoy hummingbirds in the summer and early fall, and what a blessing for you to be able to see one! The wind has been howling and too cold, even with sunshine, for me to be working outdoors. It is a treat to visit and enjoy your flowers. I see the odd winter dandelion here during warmer breaks, and sometimes a tiny viola, but for the most part, these are the several months without blooms. I remember our first Florida visit many decades ago. We went from Vermont where it had been below zero for weeks into what seemed a tropical paradise [Orlando] and saw folks going about huddled in winter coats! I hope you win the yarn to make the shawls. It must be so nice to garden all year round. Its very cold here today about 29! Capri pants, seriously. We went out for lunch and were bundled up in thick coats, head scarfs and mittens. Capri's would be so simple in comparison. Your flowers are so pretty...but kills me I have to wait out at least 4 months to see any here! But I'll enjoy seeing yours. I am glad to hear you are doing OK. I know this is a difficult time of year for you. It's a treat to see these tropical flowers in December. We've got a few colorful leaves still hanging on and a few brave asters blooming and that's it. 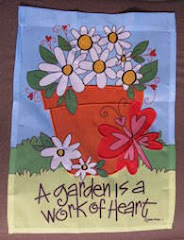 Gardening with the 3 H's can be a challenge ~ heat, humidity, and hurricane season. Flowers bring me joy and I spend as much time as possible in my tropical/cottage gardens . When not outside I can be found inside crafting in yarn, thread, beads, ribbon, buttons and laces. I also love to cook and bake. All photographs are taken by me and copyrighted. Please do not copy or reproduce without prior permission. Thank you. be calm in your heart. A new blog about this next phase in my life. It will be a learning experience. One of dependence on God to fill the void left in my life by the loss of my DH. It will be my thoughts and times of grief. A place to let it out. Maybe it will be of some help to others. I found the book 'Undistracted Widow ~ Living for God After Losing Your Husband' by Carol Cornish, online when I was searching for bits and pieces to help me as a new widow. This book is wonderful and just what I needed. It is full of encouragement and scripture. I highly recommend it for anyone who is a widow, and for those who would like to know how to help widows as they go and grow in this next part of their journey. It would also be a great help to any woman who is single, as it is all about trusting in Jesus for all things. TERRY HERSHEY is an inspirational speaker, humorist, author, and designer of sanctuary gardens who has been featured on The Hallmark Channel, CNN, PBS, and NPR. Terry holds a mirror up to our fast-forward, disconnected lives, and offers us the “power of pause”—the wisdom of slowing down and the permission to take an intentional Sabbath moment to regain emotional and spiritual balance… to find the sacred in every single day. 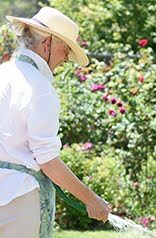 Great info on using Epsom salts in your gardens. 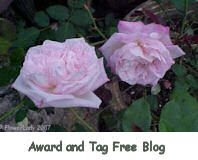 Links to my other blogs. of the marvelous structure of reality. if one tries merely to comprehend a little of this mystery each day.